you inexplicably feel bound to each and every other person who does the same. The chain runs North and South, East and West. It spans ages and breaks class boundaries. The National Park Service holds the ultimate legal responsibility for the A.T. and the ATC acts as its primary advocate to the public and government. However, much of the physical work involved in keeping the trail alive is done by an army of willing volunteers. There are currently 30 official maintaining clubs affiliated with the ATC, each with it’s own specific stretch of trail to care for. 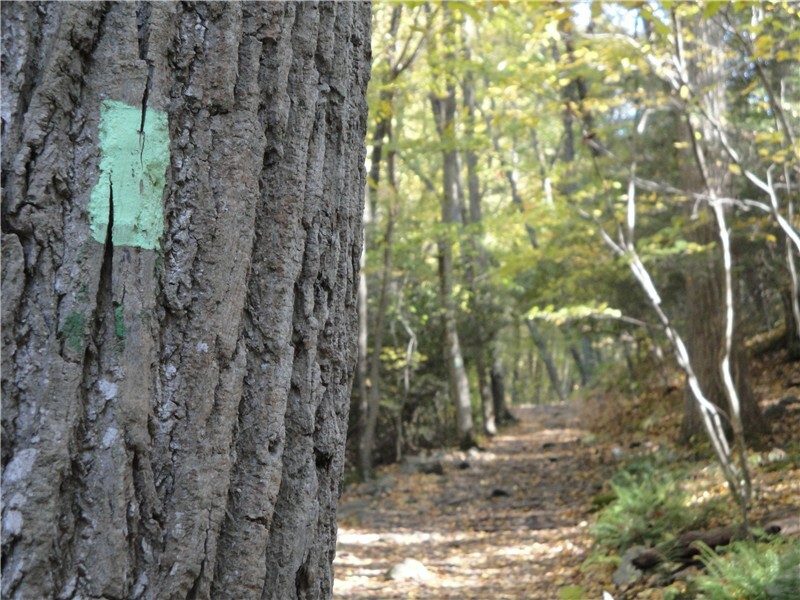 Maintenance sections can be as small as the Wilmington Trail Clubs 7.2 miles or as large as the Maine Appalachian Trail Clubs 267 miles. The ATC works with these clubs to help coordinate volunteer efforts where they’re needed most. 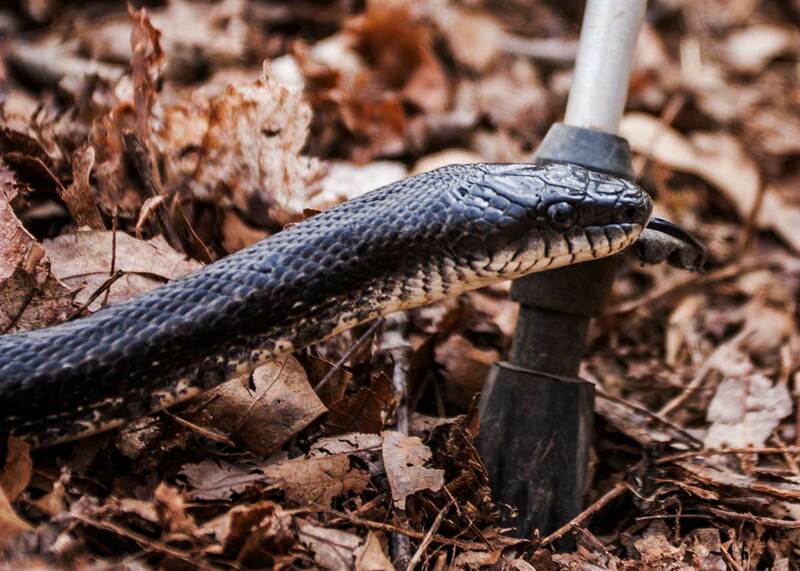 Clubs do everything from maintaining existing trails and painting blazes to excavating trail reroutes and building new shelters. 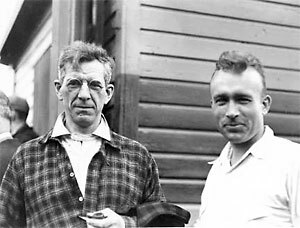 The trail got its beginnings thanks to the volunteer efforts of men like MacKaye and Avery and its continued existence relies on people like you and I taking time out of our day to give back to the trail. To learn more about how you can become an A.T. volunteer visit the ATC’s volunteer page here. 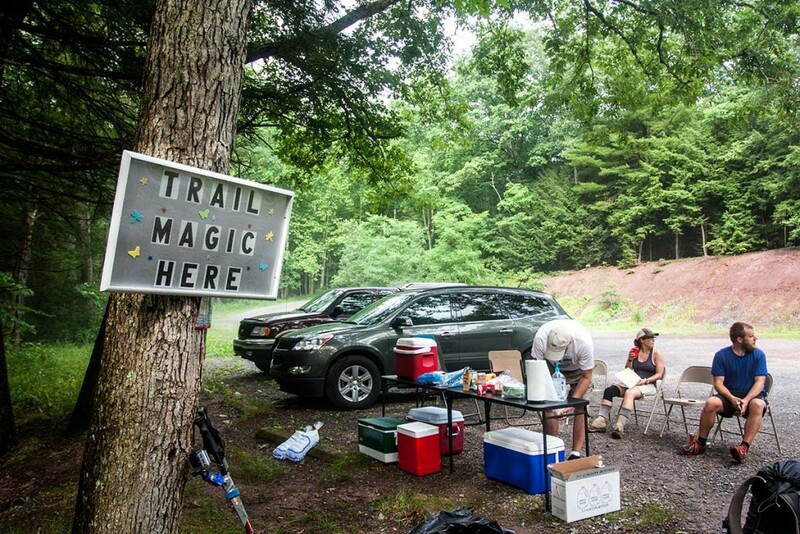 Like much of the A.T., shelters are built and maintained by local volunteer trail clubs. Shelters vary in size with some holding as few as 5 hikers and others as many as 20. However, shelters operate on a first-come-first-serve basis and are open to all A.T. travelers, not just thru-hikers. That means if a shelter is full by the time you arrive youll need to either pitch your own tent or hike on to the next available campsite. Additional amenities at shelter sites vary as well. Some may be equipped with an adjoining picnic table, established fire pits, bear-bagging systems, and privies. Also many, but not all, shelter sites are equipped with additional space for tent camping should the shelter itself already be full for the night. 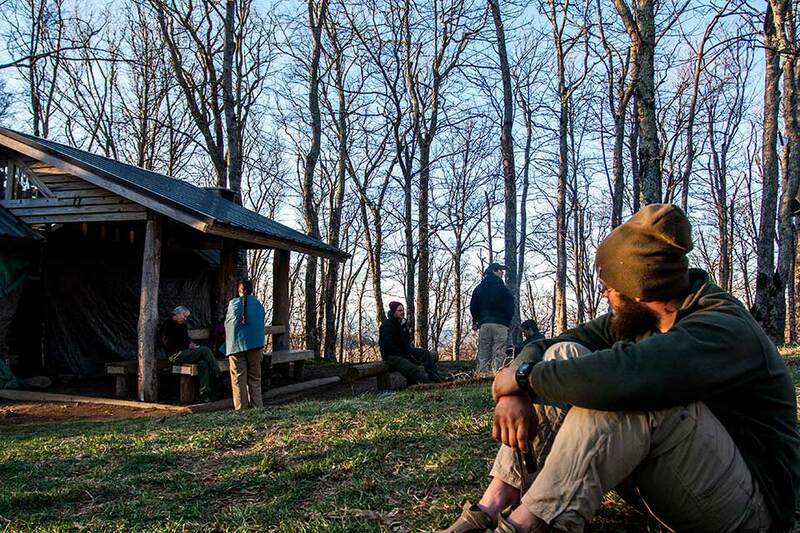 However, shelter life doesnt come without its issues, so here are some things all hikers should consider before taking up shelter space. There is a proper social etiquette involved when accepting space in a shelter. If youre not willing to adhere then you probably should just pitch your own tent. Shelters’ convenient locations along the trail coupled with their many backwoods luxuries make them popular stops for A.T. hikers. 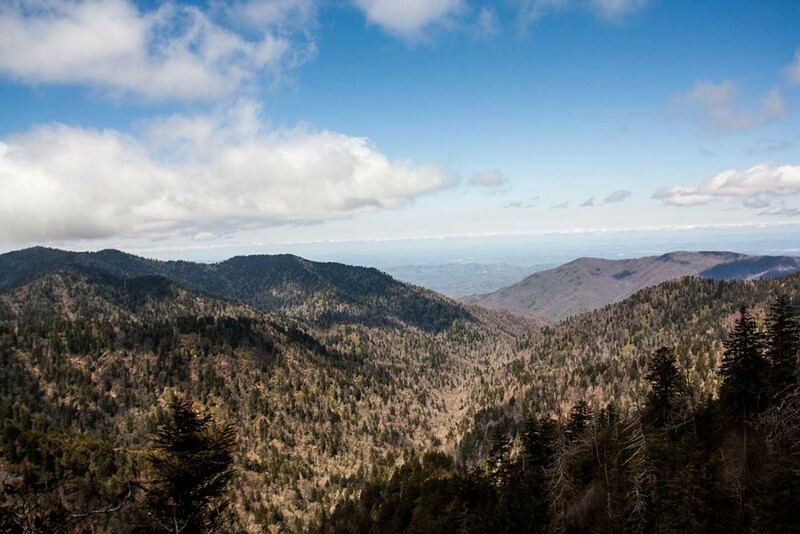 Many thru-hikers utilize them as checkpoints for lunch breaks or for ending a days hike. 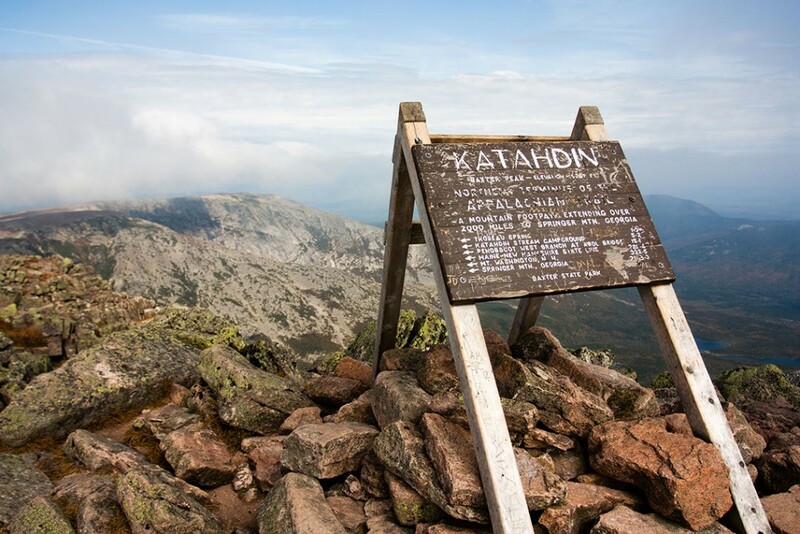 As a result they tend to become social hubs for hikers, particularly if you are traveling a typical northbound hike. This makes shelter sites a great opportunity to meet and engage with other hikers. 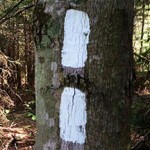 Apart from designated sites there are areas along the trail where hikers are allowed to choose their own campsites. 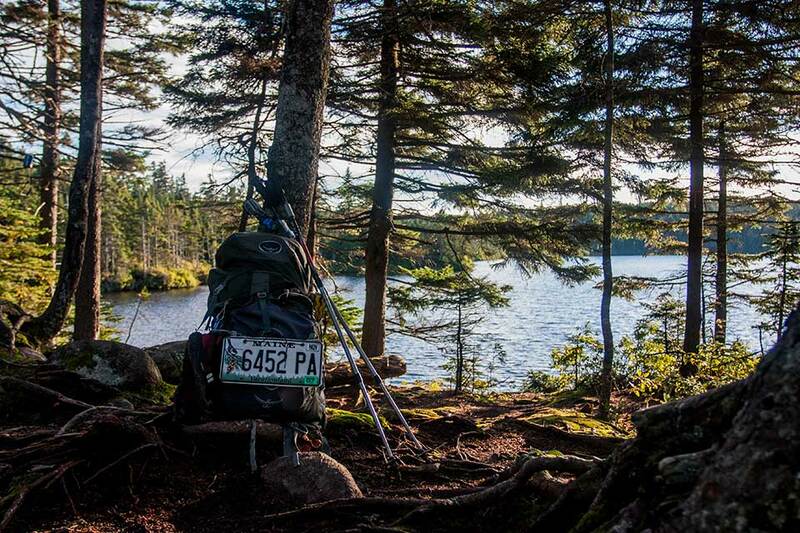 This practice is known as dispersed camping. While the term essentially describes the practice of setting up camp wherever a hiker wants, hikers will often find popular “established” dispersed camping sites that have been regularly used by hikers in the past. Popular dispersed campsites are often marked in A.T. guide books. If at all possible it is desired for hikers to reuse existing campsites as opposed to clearing new ground to establish a new sites. 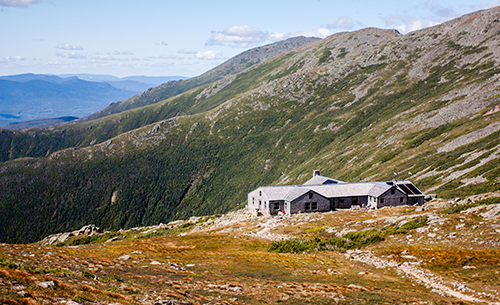 The AMC operates 8 huts along the A.T. through the White Mountains. These huts do not operate like conventional shelters. 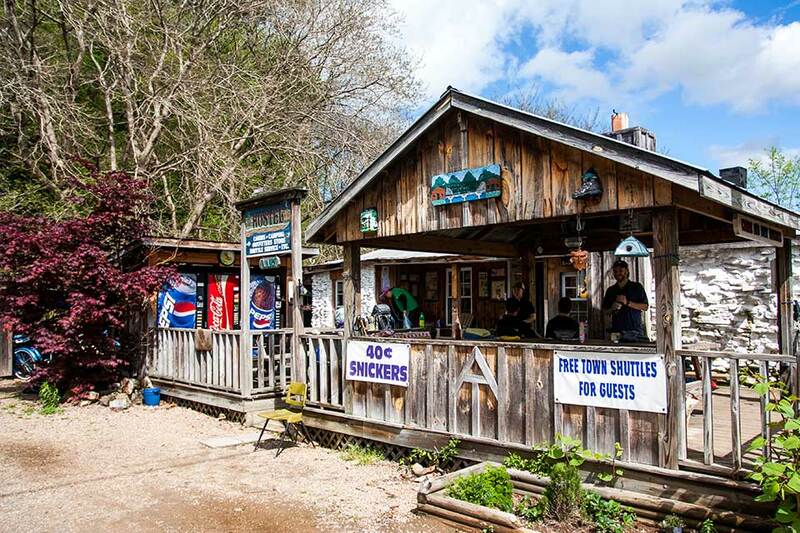 These huts are staffed by AMC crew members who provide lodging, home-cooked meals, and educational programs for paying guests. 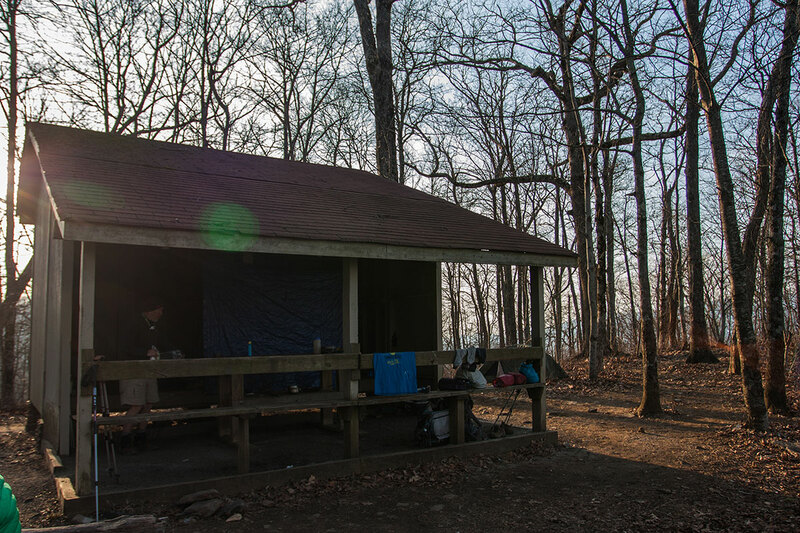 For thru-hikers to earn a place at one of these huts requires either a reservation with a substantial fee or a work-for-stay agreement with the huts crew. 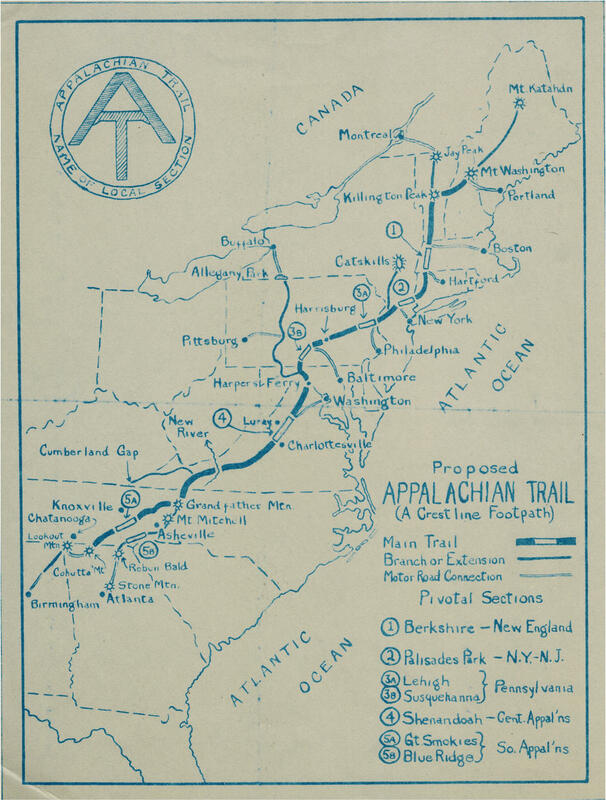 Given the fluctuating nature of a thru-hike it is highly unlikely a thru-hiker will be successful making and keeping an advance reservation (much less want to pay for it). Rather most thru-hikers will rely on the work-for-stay option, but this is by no means a guarantee either. Work-for-stays are first-come-first-serve and are entirely up to the discretion of the operating crew. 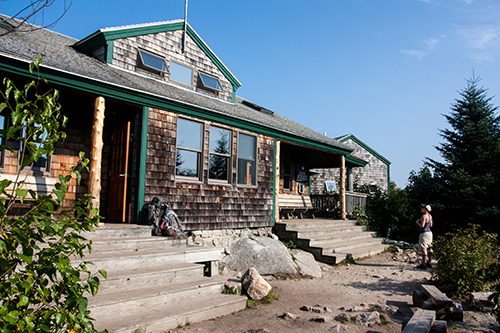 Also space available for work-for-stay hikers is very limited with each hut usually accepting only 2 – 4 hikers per night. Naturally there are some exceptions. In special circumstances a hut may welcome in more hikers, such as during bad weather. Also Lakes of the Clouds hut has a basement shelter called The Dungeon where hikers can pay $10 for a bunk. Snagging a spot in a hut is one part planning and one part luck. Most huts will not start accepting work-for-stay hikers until close to 4:00PM, so you don’t want to end your day at a hut too early or the hut crew may turn you away. However, you also don’t want to arrive too late or other hikers may have taken all of the available spaces. So if youre plan is to end you night at an AMC hut be sure to strategically plan your arrival. Water is the most important resource thru-hikers must learn to manage on the A.T. Usually water is easy to find on the trail. 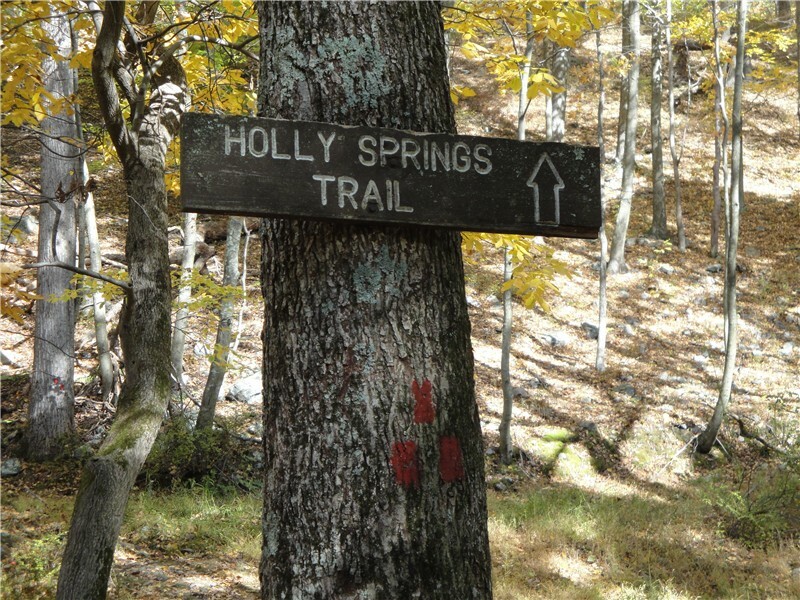 As hikers meander through the woods theyll cross numerous fresh springs, streams, ponds, rivers, and lakes from which they can draw water. 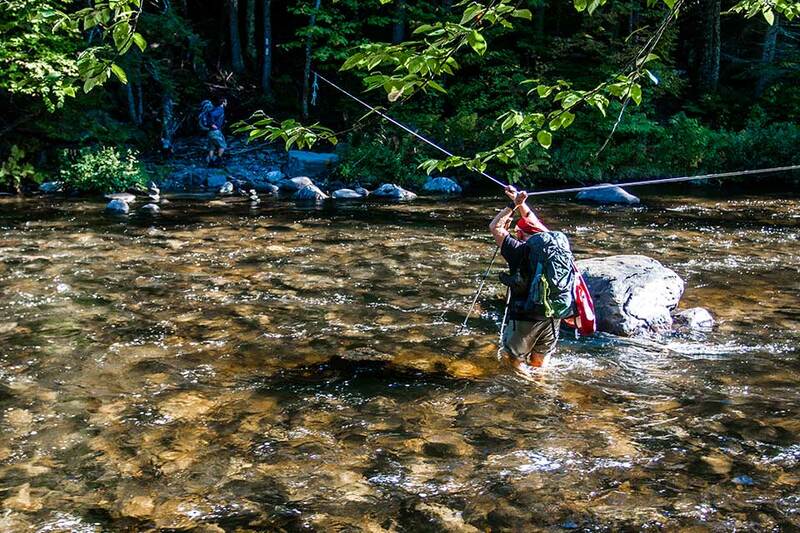 It is not uncommon for hikers to pass multiple water sources in a single day. 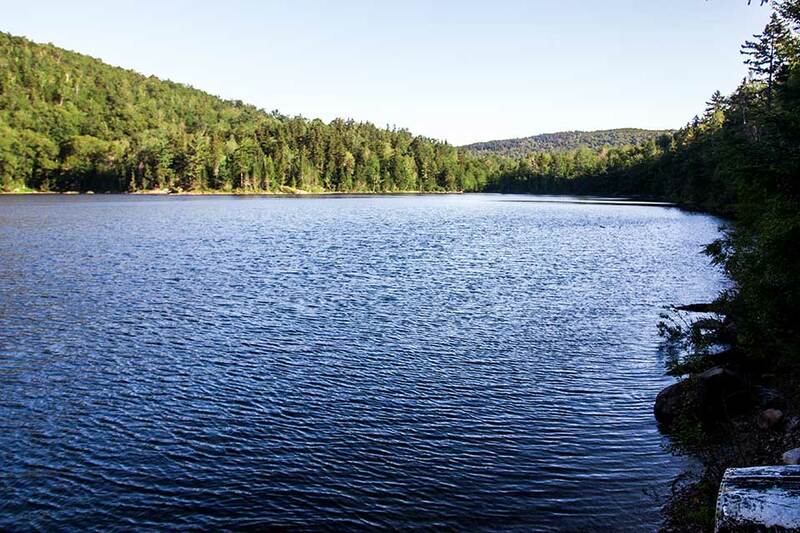 Shelters and popular campsites are also usually positioned within reach of a viable water source. 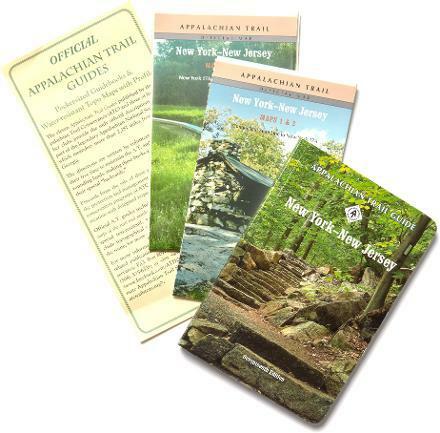 Both guidebooks and some maps will mark the locations viable water sources for hikers to take advantage of. 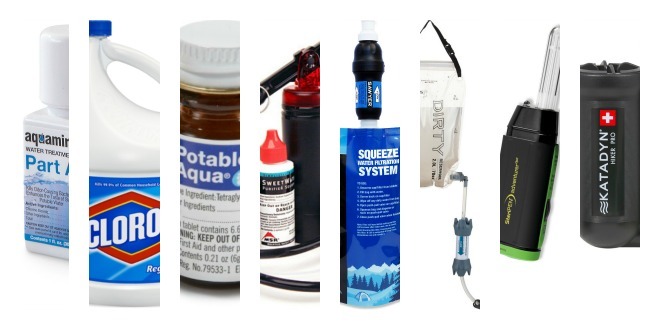 With any open backcountry water source there is an inherent risk of contamination. The water found along the A.T. is oft not swimming with parasites, but the obvious problem with viruses and microscopic organisms is that you cant tell if they’re there just by looking. 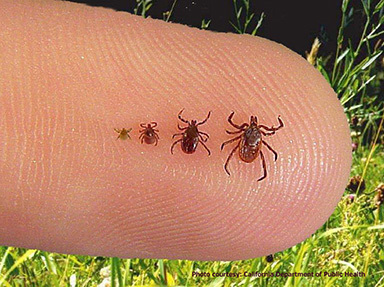 When most people speak of water-borne illness on the A.T. they are likely referring to giardia: a microscopic parasite that can cause severe nausea and diarrhea among other symptoms dangerous in wilderness settings. Water is drinkable immediately after its filtered. Water-borne pathogens tend to attach themselves to suspended solids and other floating particles present in the water as opposed to just swimming around freely in the liquid. As a result the less dirt and particles in your water the less likely its going to make you sick. Granted, this is very much a rule of thumb estimation. Its not easy for most people to find a spare $5,000 or put their lives on hold for six months. 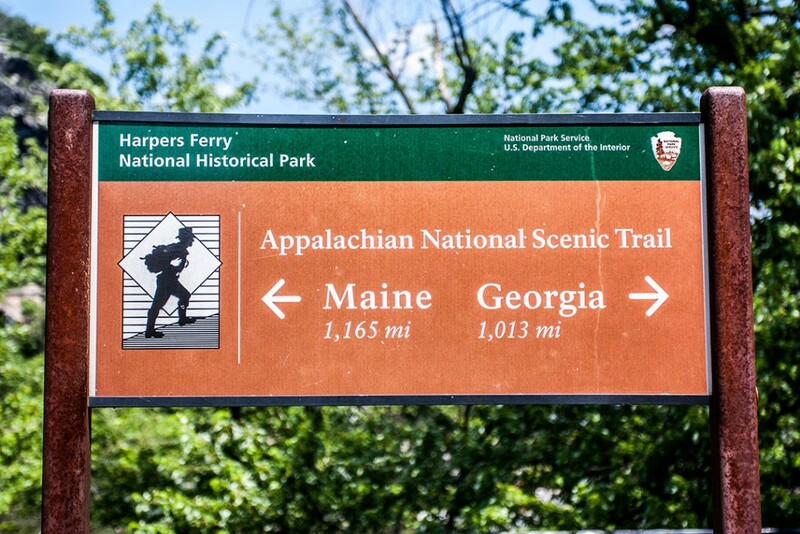 But whether you make $20,000 or $200,000 a year, the decision to hike the Appalachian Trail is going to require the same thing: a huge commitment. 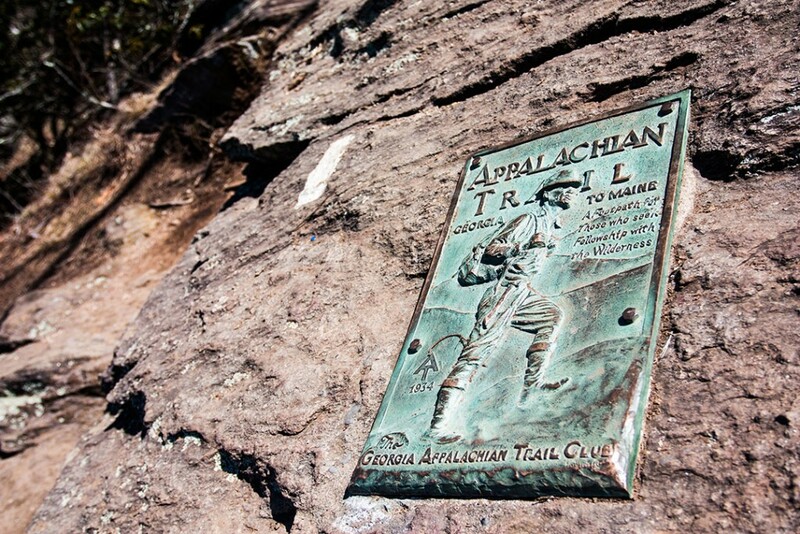 If you want to hike the Appalachian Trail, you cant define it as a vacation. You will need to consider it a lifestyle change. This is a six-month journey; for most people, it is not a dream that can go from inception to reality in a matter of weeks or months. It will most likely take years of saving, planning, and balancing of your personal life. For different people, each sacrifice is going to carry a different weight. People who have debts or undefined career paths might find it harder to accumulate the savings. 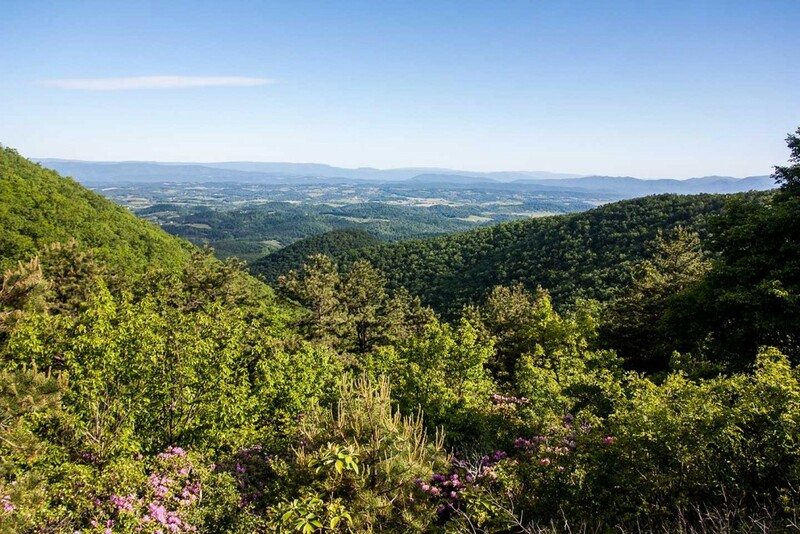 On the other hand, people who have established careers, houses, and/or families will most likely find it hardest to get the time for a thru-hike. 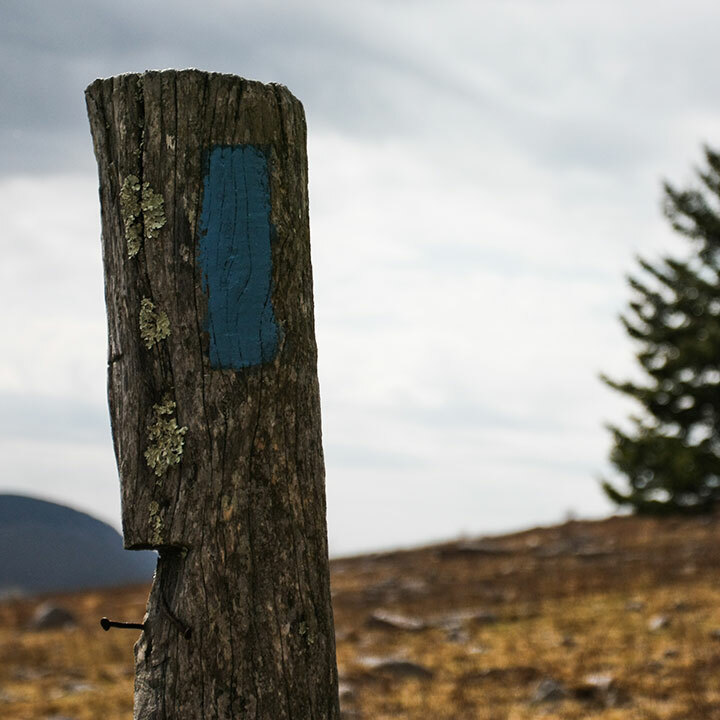 Whatever your responsibilities are, to plan a thru-hike requires patience  and flexibility. You will need to be able to look ahead at the next few years (or even decades) and make a plan based on where you will be with your job, how your family is going to feel, and what you can save in that time period. But, you will also need to be able to throw that plan away and jump at the opportunity to hike if it appears in the form of an unexpected lay-off or your high schooler suddenly suggesting that you hike together. When preparing to work out the logistics of your trip you’re going to have to be prepared to study. Research, research, and then research some more. 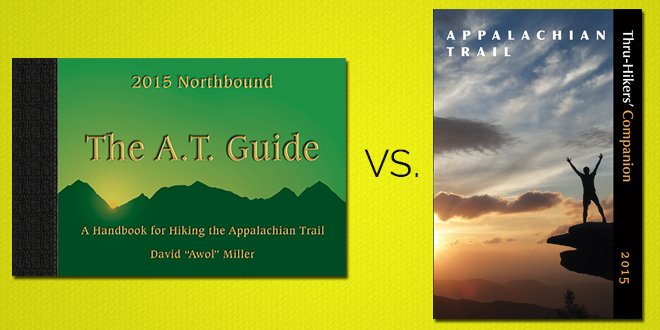 Study your guide book, read articles, examine blogs of former hikers. The more information you can absorb the better. Naturally you dont have to become an encyclopedia of all things A.T., but do enough research to become familiar with the place youre going to be calling home for the better part of a year. If you know you dont have a strict schedule then you may be able to more freely choose how you wish to experience the trail. However, a set deadline may limit your options. For example, if you are in school until late May then a Northbound thru-hike may be hard to manage as you won’t be able to start until too late in the season. Regardless, knowing your time frame makes the next question that much easier to answer. What seasons youll hike through. 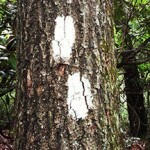 Number of other thru-hikers youll encounter. 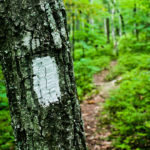 Having the answers to these two questions will provide the foundation for any and all of your future pre-hike planning. The rest is up to you. 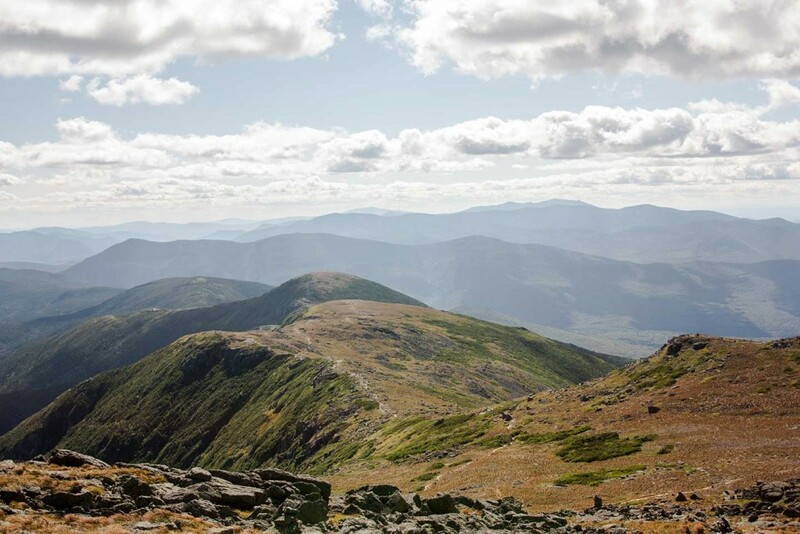 Its your hike after all. Make it your own. 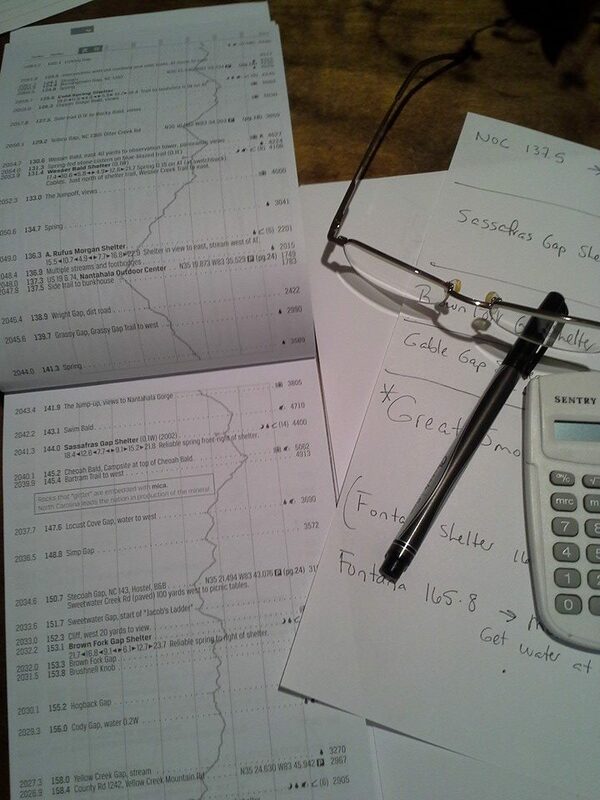 Coming up with a hiking schedule is now just a matter of taking out your guidebook/maps and crunching the numbers. Still, use the term schedule loosely. While having a schedule of sorts for your hike can be helpful in regards to planning mail drops and managing a stricter timeline it is not realistic to think that once youre actually out hiking on the trail that you will be able to completely stick to your pre-made itinerary. Most people report their itineraries going out the window within the first few days on trail. Over 4 – 6 months it is impossible to predict all of the unexpected surprises that could cause you to have to alter your schedule. 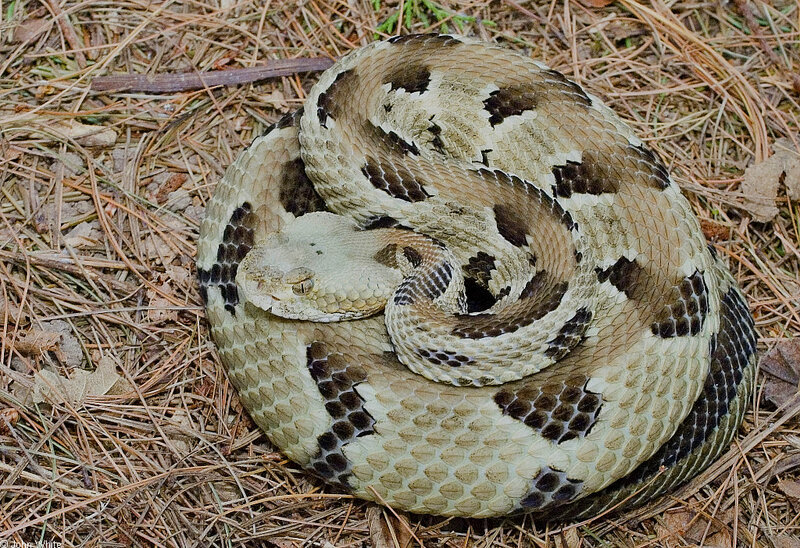 Hiking the A.T. often necessitates an air of flexibility to adapt to unanticipated circumstances. So if at all possible it’s a good idea to leave yourself some wiggle room, if you even feel the need to build an itinerary at all. 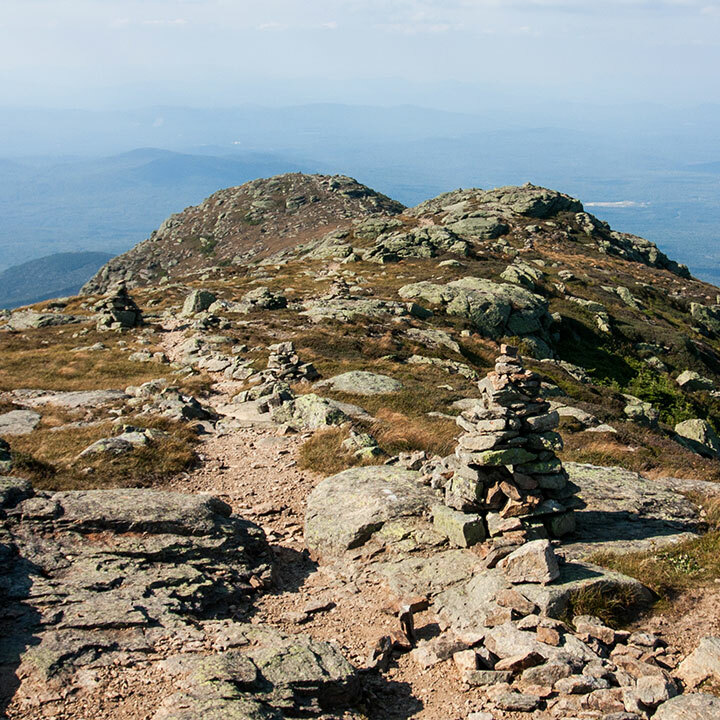 The best way to get in shape for backpacking is to go backpacking! 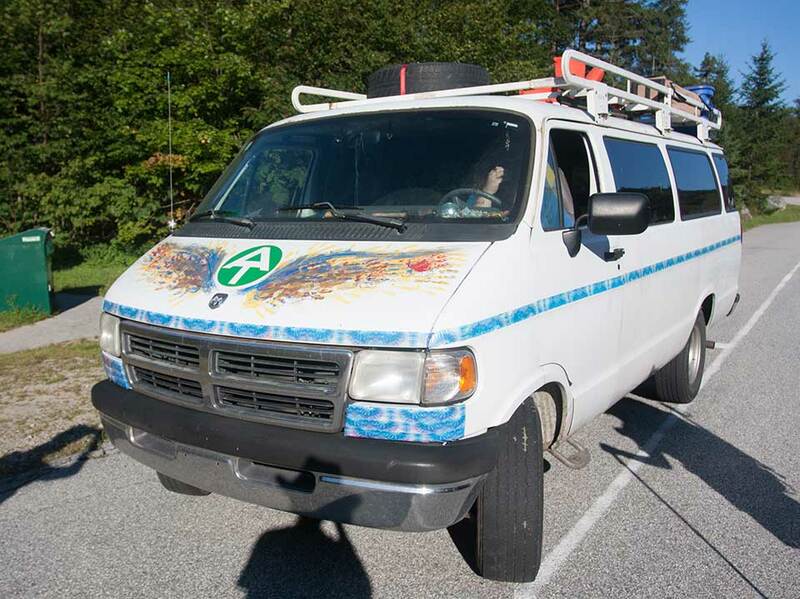 Take yourself on as many shakedown trips as you have time for. 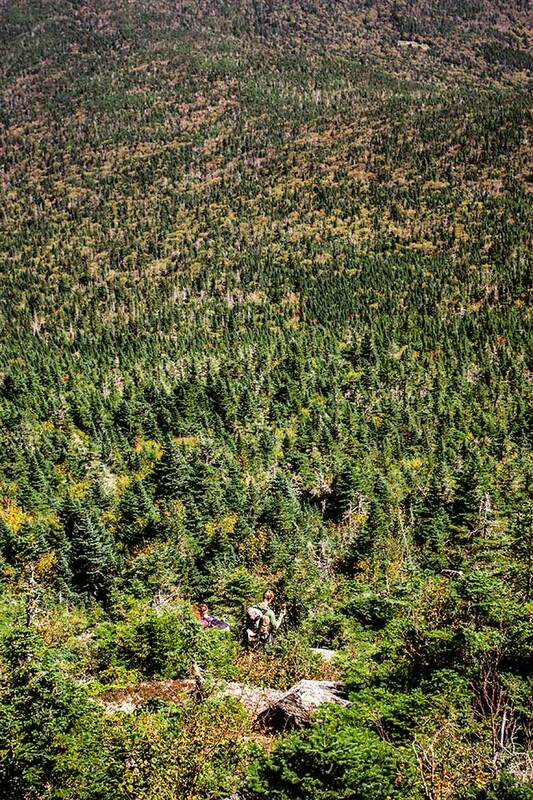 It doesnt matter if theyre day-hikes, overnighters, or longer. Just get yourself out climbing mountains with your gear. These hike will help you to start identifying your physical limitations, test your gear, and gain you other valuable on-trail experience. Figuring out gear for your thru-hike is one of the most funand time-consumingaspects of your preparations. The options are infinite and the choices can be overwhelming to those unfamiliar with long-distance backpacking. The best thing you can do is research. Read articles. Talk to former and future hikers. Visit outfitters and ask questions. Here are some links to get you started. Mail drops require a lot of logistical preparation. Naturally, the more mail drops desired the more complex the logistics. 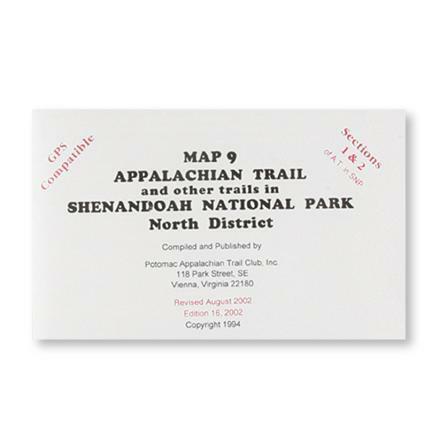 Because post offices will only hold packages for a limited amount of time hikers often must coordinate with family or friends back home to ship the boxes for them within the desired timeframe. 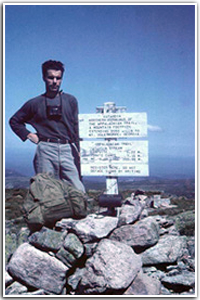 Fortunately many outfitters and hostels along the A.T. offer to hold mail drops for hikers as well and will usually hold them for longer periods than the post office. These options are often better choices than the post-office itself as it also frees the hiker from the strict operation hours of the US Postal Service. It isnt wise to use mail drops to supply yourself with items that would be easily acquired from shops in trail towns. 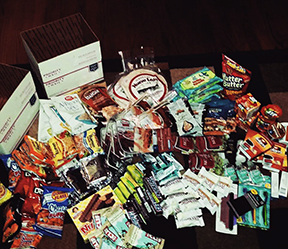 Mail drops are most appropriately used to help you resupply with items that are not easily accessible from the trail, such as prescription medicines, unique dietary needs, or just a special treat to lift your spirits. Failing any other options many thru-hikers commonly resort to hitchhiking. However, this comes with a few considerations worth noting. First and foremost the act of hitchhiking is technically illegal in some form or another in all 14 states that A.T. passes through. More specifically TN, PA, & ME all have out-right bans on all forms of hitchhiking. Massachusetts only specifically bans the practice on turnpikes or highways. The remaining 10 states ban that act of soliciting a ride on/in a roadway implying securing rides from gas stations, parking lots, etc. is permitted. 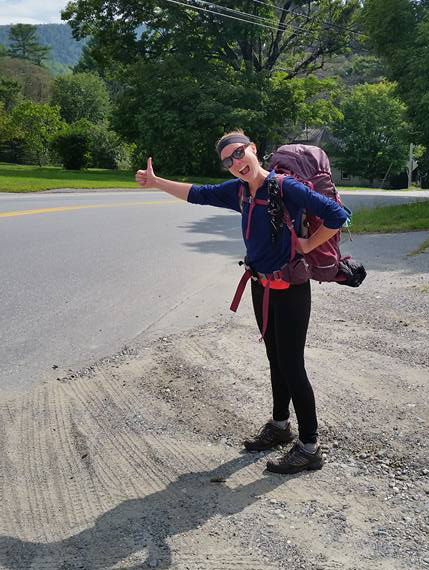 In many cases the actual laws for hitchhiking are vague and open to interpretation. For example, there is a lot of written language about not standing in the road to hitch but whether this also implies the side or shoulder of the road isnt necessarily clear. In any case in most states along the A.T. the enforcement of hitchhiking laws are pretty relaxed. As long as you are not obstructing the flow of traffic, safely on the shoulder of the road, and an officer isnt having a particularly bad day hikers can usually stick out their thumb with little fear of reprisal. 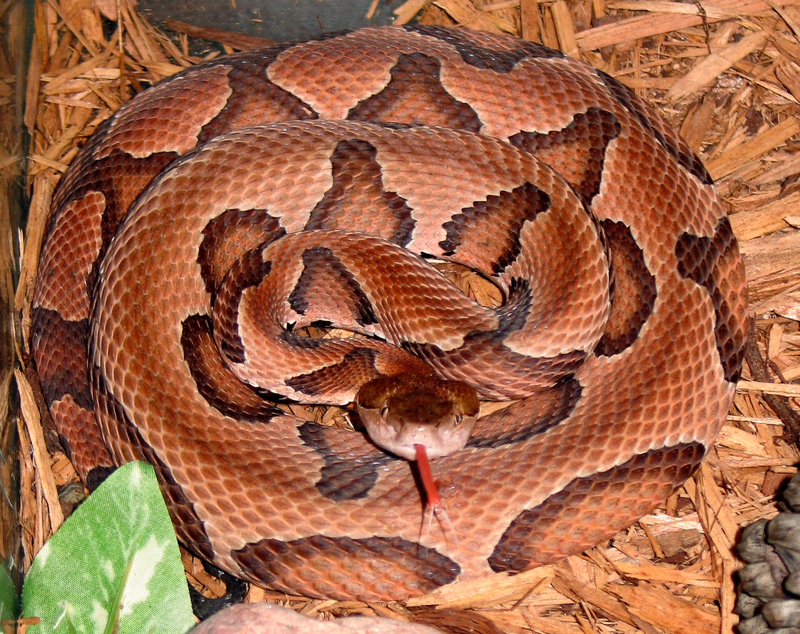 However, some states have garnered a reputation for stricter enforcement than others, New York and New Jersey in particular. Beyond the fear of legal issues there is an obvious level of risk with accepting rides from strangers. Most drivers near towns around the trail who would stop do so because they are accustomed to the sight of hikers near A.T. intersections. 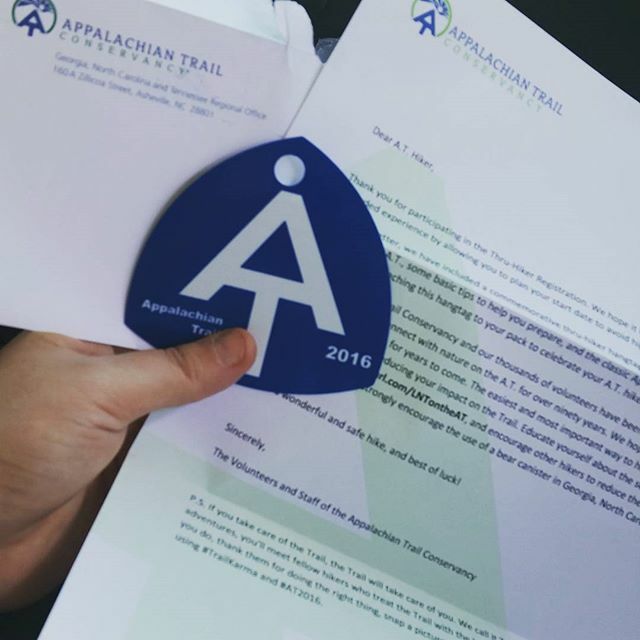 Many are former/future hikers themselves looking to help out fellow A.T. adventurers. Still, never feel like you have to get into a car with someone just because they are the first to stop. If you ever feel uncomfortable getting in a car with someone then dont! Plain and simple! In the broadest and most self-explanatory sense an outfitter describes any business capable of outfitting hikers with the gear they need to get out on the trail. 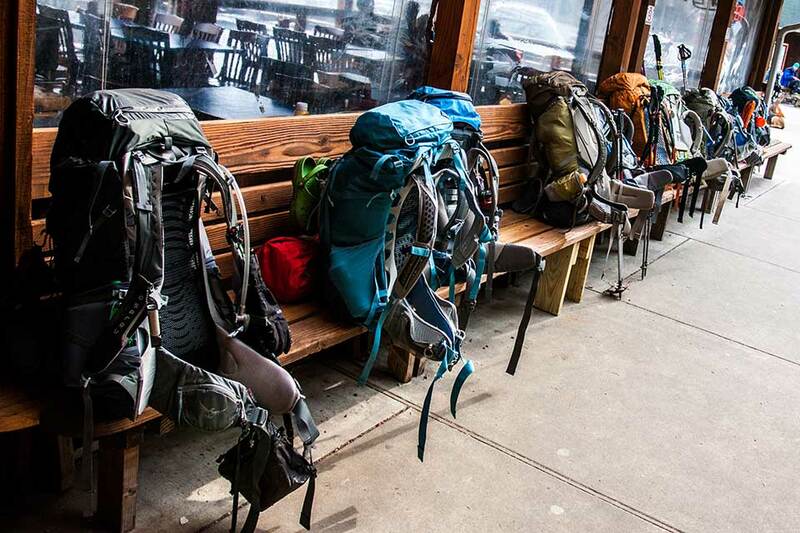 Outfitters allow hikers to acquire, repair, or replace various items such as backpacks, bags, clothes, stoves, boots, hiker food, fuel, and everything else in between. Some outfitters may even offer additional services to thru-hikers including shuttles and accepting mail drops. There are a great number of outfitters accessible to hikers along the trail, most of which are strategically stationed in trail towns. 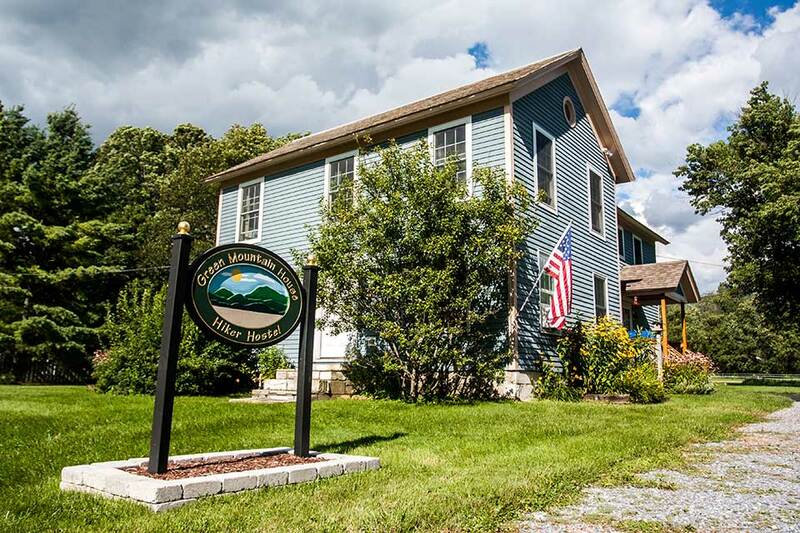 However, every town along the trail does not house an outfitter. So be sure to take advantage of outfitters when you have the chance. 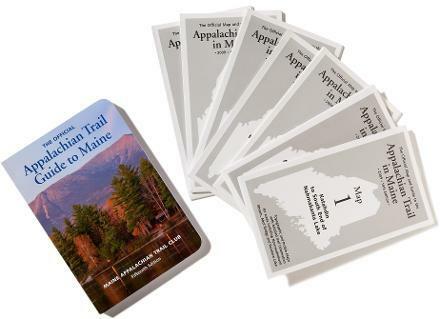 Hikers equipped with a proper guidebook will find information for many of the outfitters within reach of the A.T. Generally speaking the highest concentration of outfitters found near the A.T. is located in the southern half of the trail. Nearby outfitters become more scarce in the Mid-Atlantic region and once again become more frequent in New England. 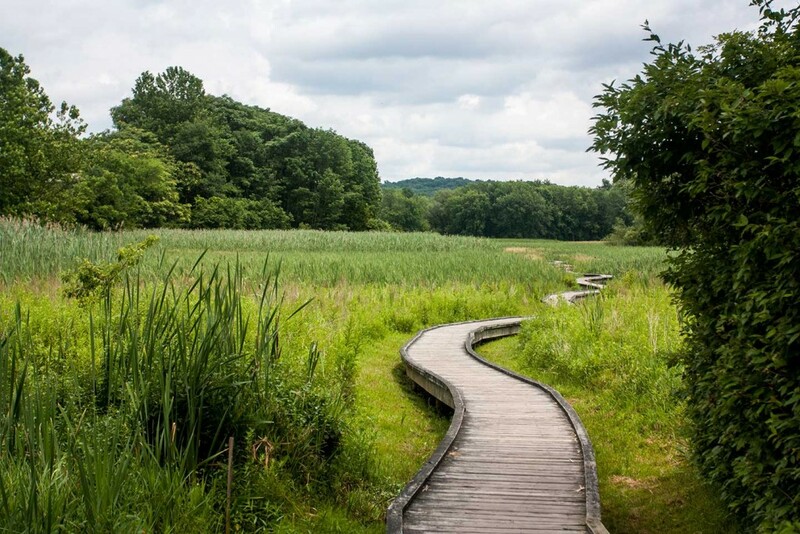 If you ever find yourself encountering someone on the trail you do not feel comfortable with, there are steps you can take to distance yourself from that person. If the person in question is a townie or stranger on the side of the road, you can just move on down the trail to leave them behind. If another hiker is making you uncomfortable, consider altering your hiking pace to increase the distance between you. Failing that, try spending time in town and hope they move on. Sometimes skipping some distance up the trail is even the safest course. 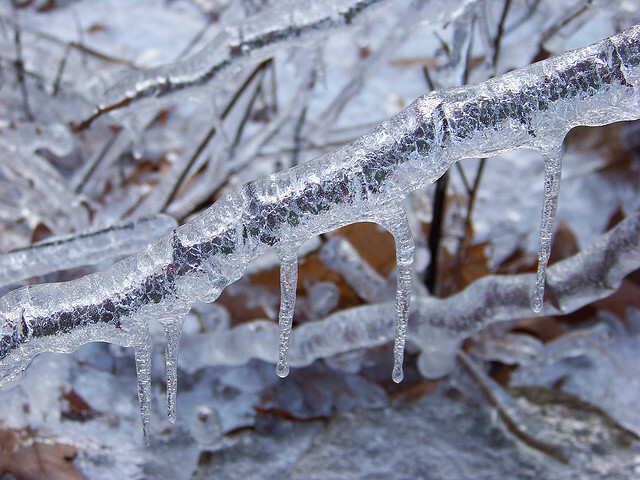 It may complicate the logistics of your hike, but safety is always more important. 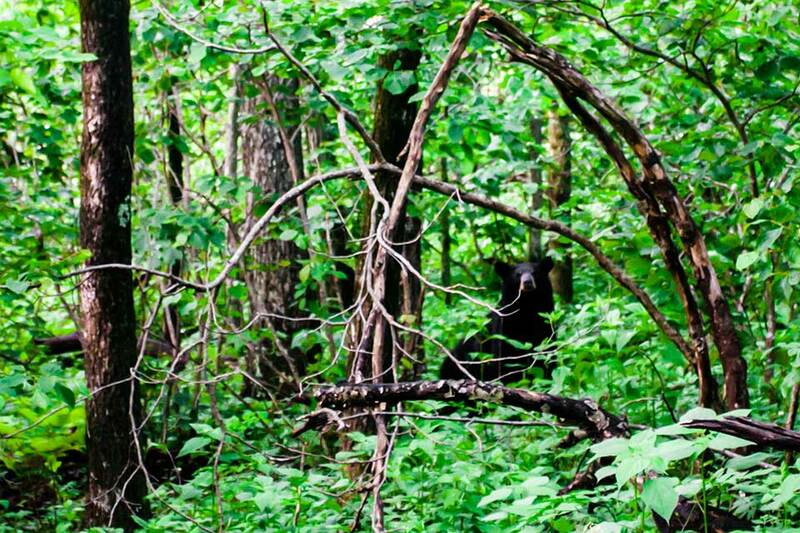 There is also safety in numbersfind a friendly group of hikers to always have a few buddies nearby. The Appalachian Trail is a community which serves an important role of support. For any hiker, male or female, you are safer trusting in each others best intentions rather than being divided by fear. 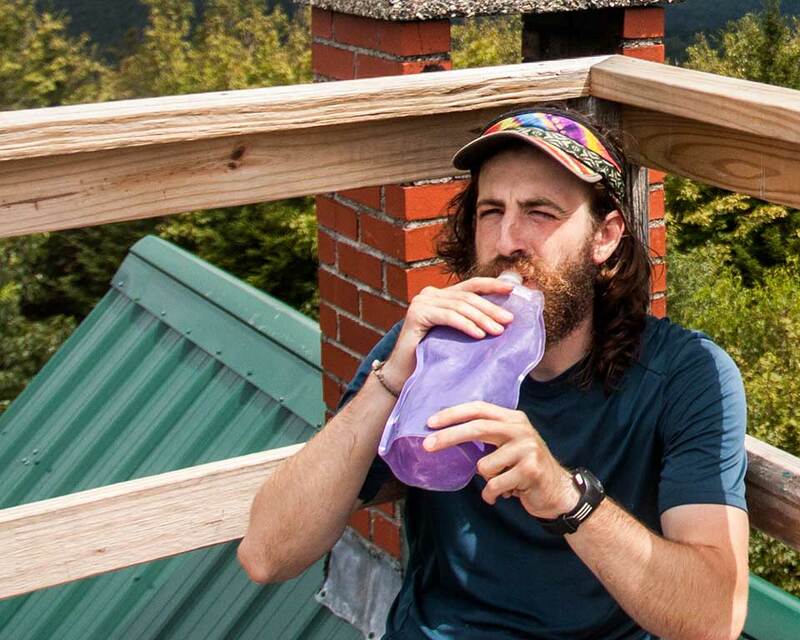 Dehydration can be a serious problem for thru-hikers. 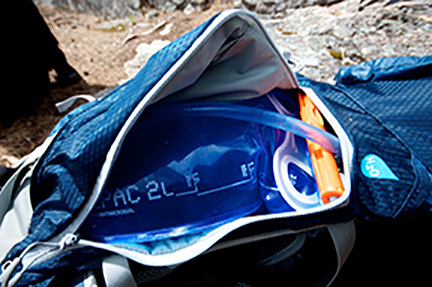 Due to the intense physical activity, thru-hikers often suffer from chronic dehydration. It’s hard to drink enough water to be properly hydrated, but if not properly managed more serious issues can arise. Intensive physical activity in warmer temperatures can increase the rate of dehydrationthink about how much you’re sweating! However, this thought process can unfortunately lead to the misconception that cooler temperatures mean less risk of dehydration. If you feel thirsty, it means you’re already dehydrated, so drink throughout the day and whenever you stop to ensure you don’t reach that point. Intake of salt and other electrolytes can also help alleviate dehydration as they allow the body to more efficiently absorb water.